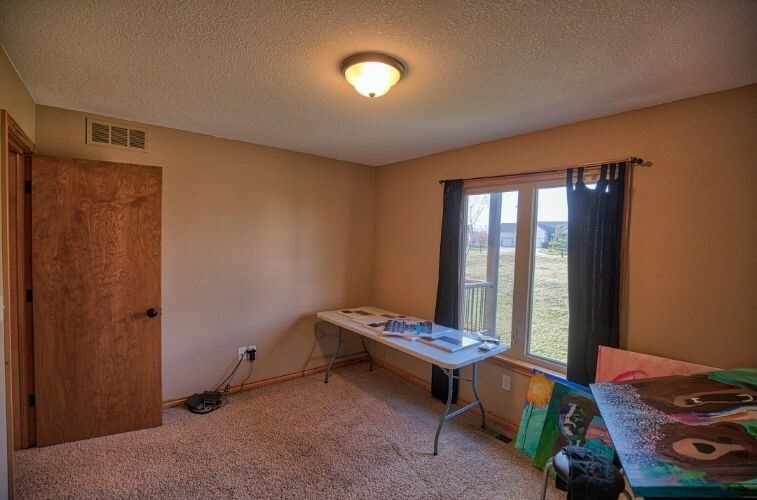 Super split bedroom ranch on a great lot backing up to a common area! 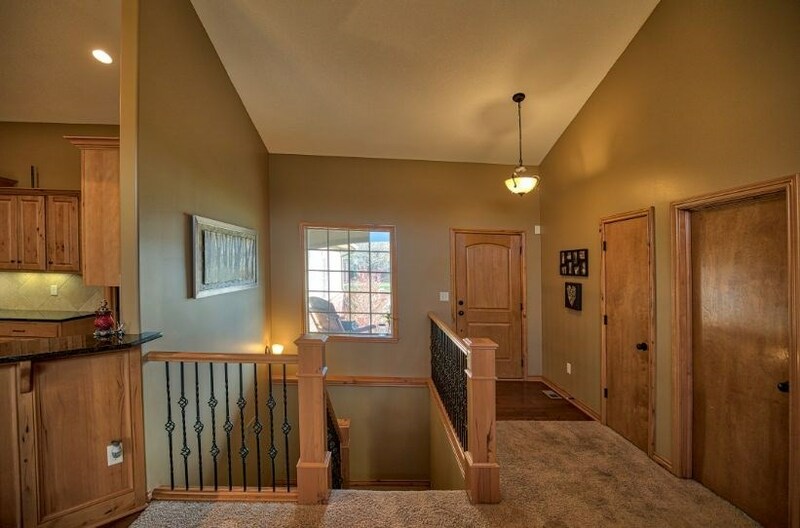 Entryway with colonist paneled door, wood floor, coat closet and iron baluster open rail U-shaped staircase with picture window! 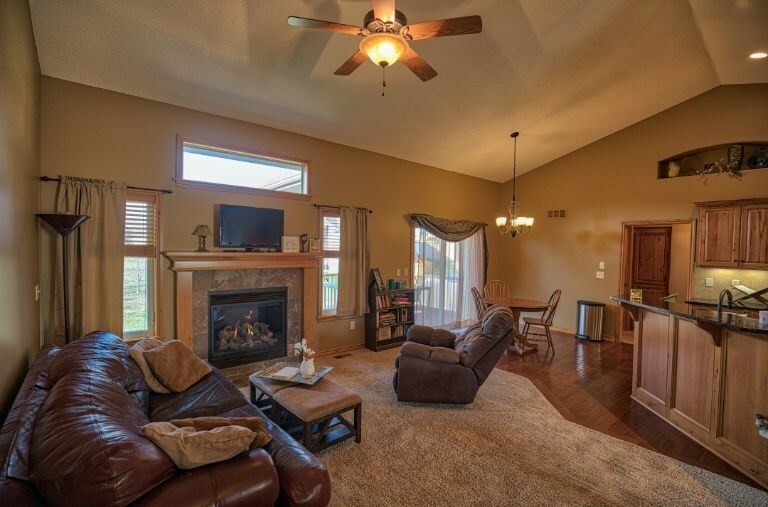 Large living room with an exceptionally high vaulted ceiling, gas fireplace with wood and tile face including window above! Dining room with patio doors to deck and wood floor! 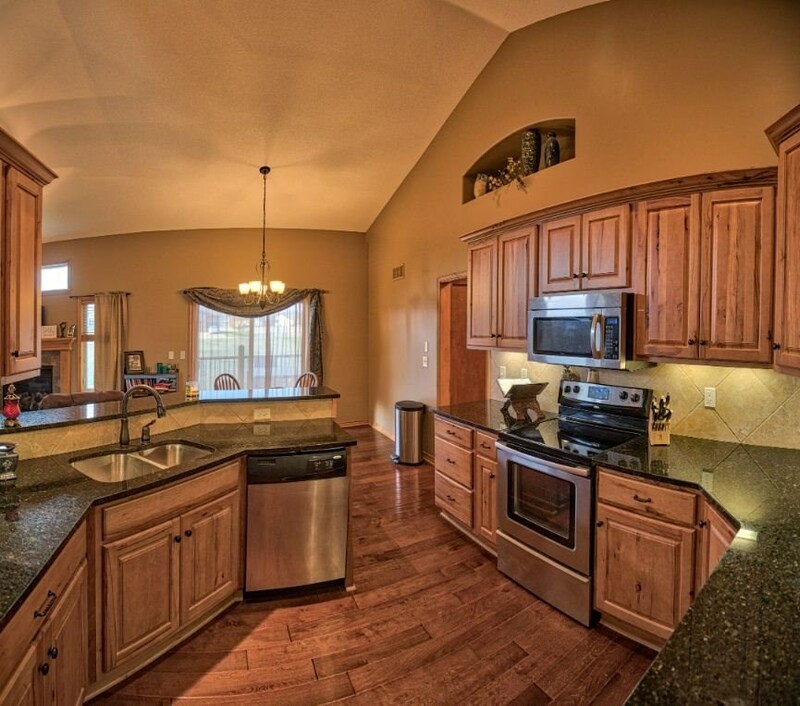 Fabulous kitchen with raised eating bar with wood back, lazy susan, Granite counter tops, stainless steel undermount sink, high vault with plant shelf, undercounter lighting, wood floor and stainless steel appliances! 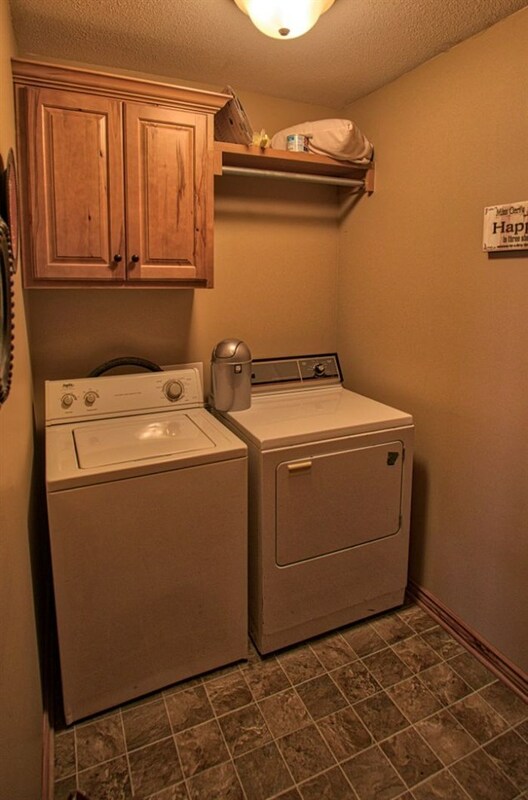 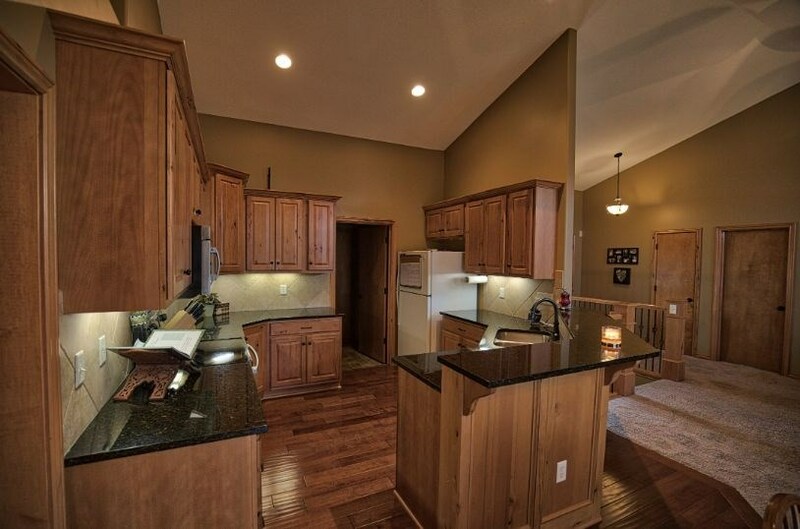 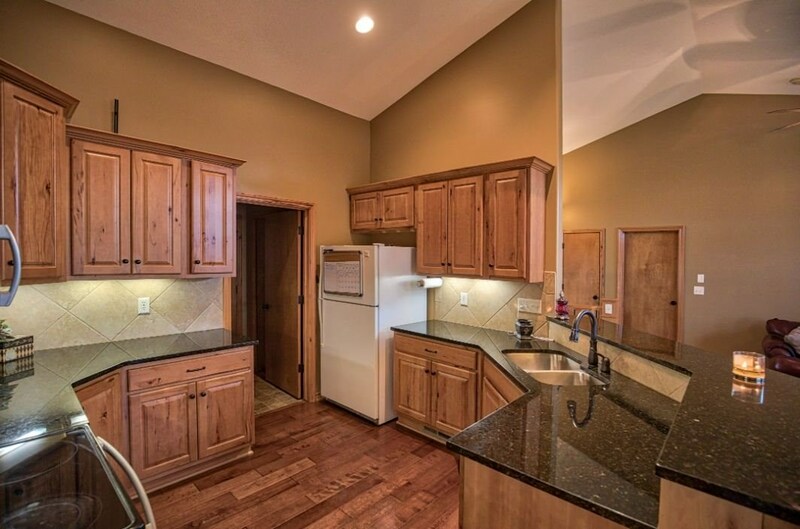 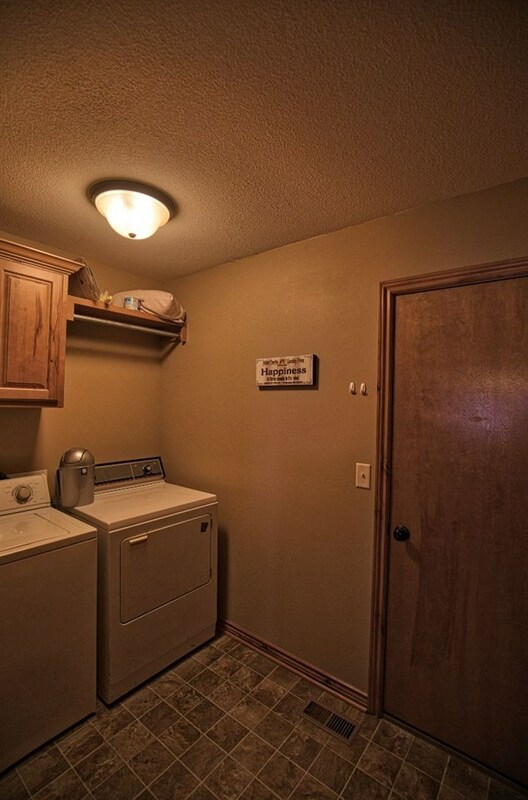 Just off kitchen in an oversized main floor laundry room with cabinetry, hanging rod and a huge pantry! 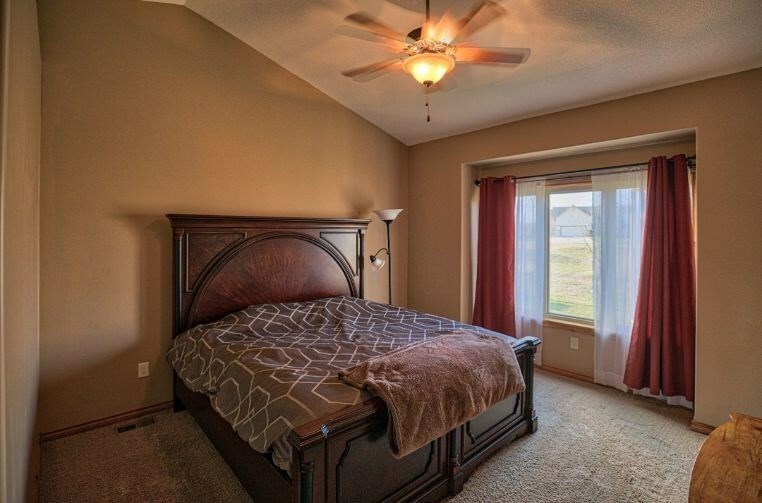 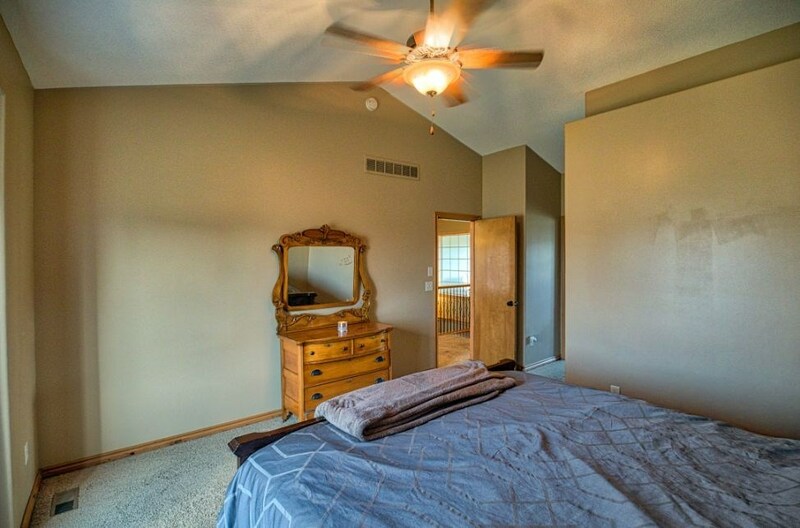 Sharp master bedroom with boxed-out triple windows, high vault, ceiling fan and large walk-in closet with sweater rack! 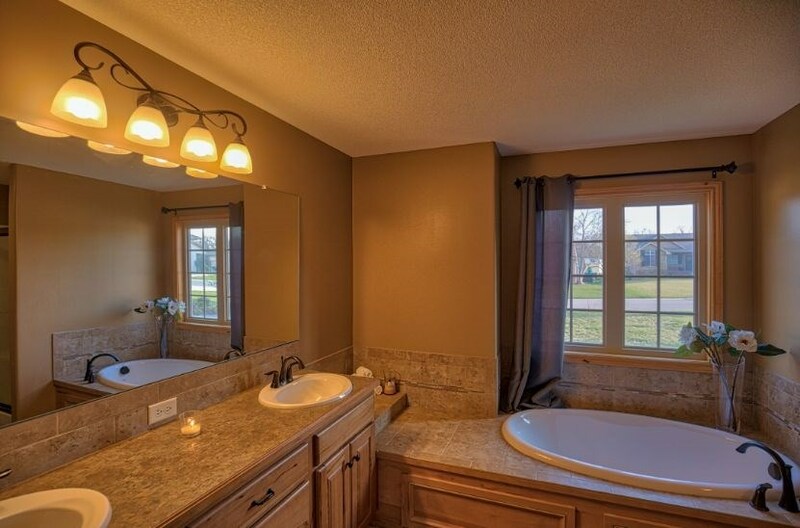 Fantastic master bath with a 6ft double vanity, Oval tub with double windows above, 4â shower, linen cabinet, vaulted ceiling and vinyl floor! 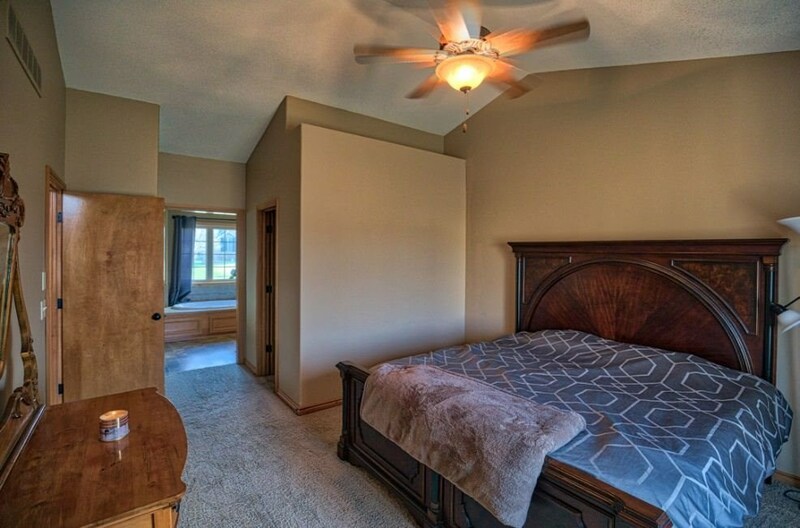 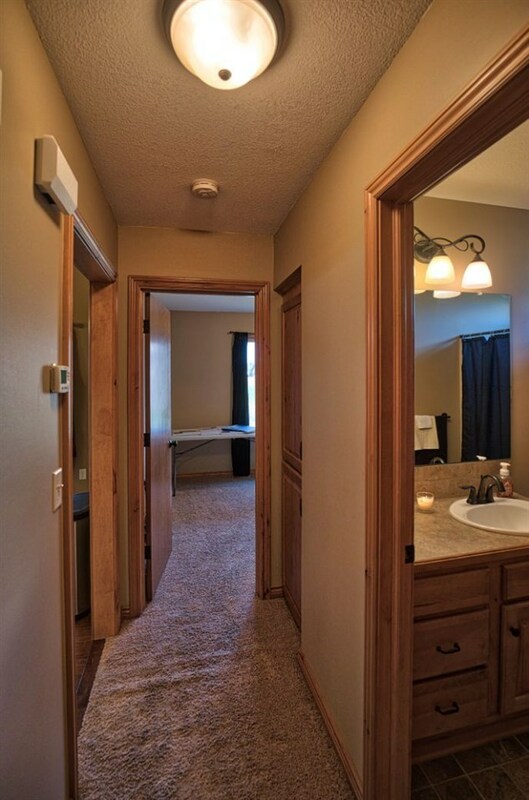 Split on the other side of home are two nice sized bedrooms with large closets! 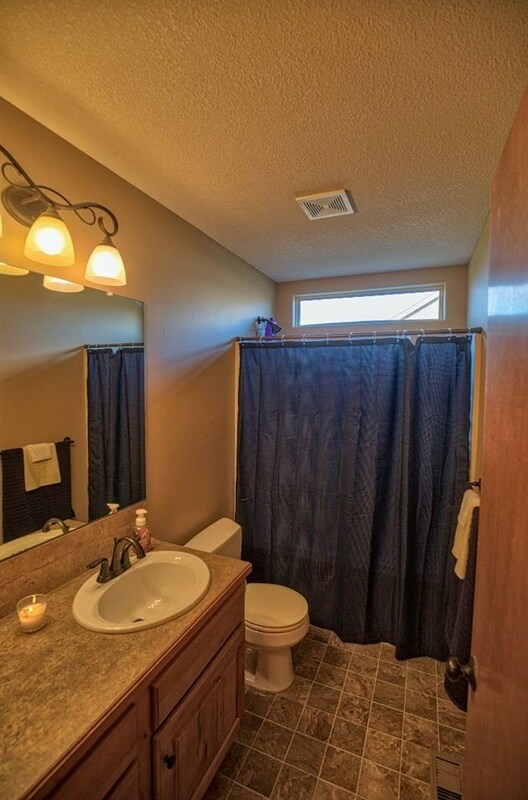 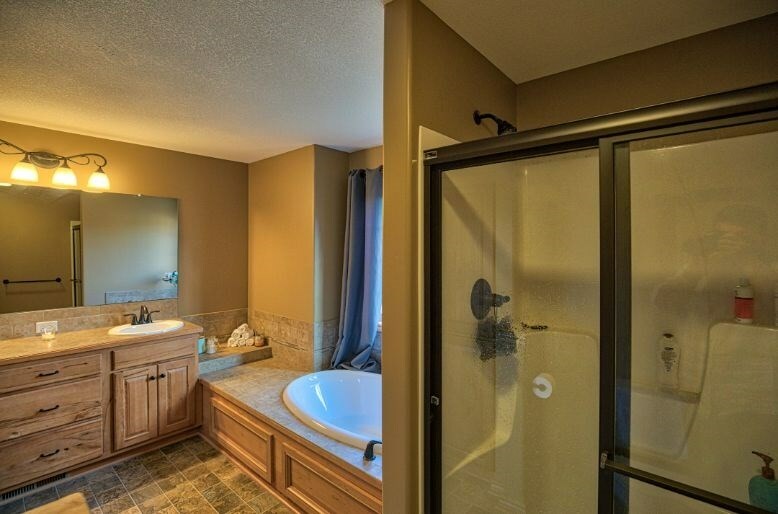 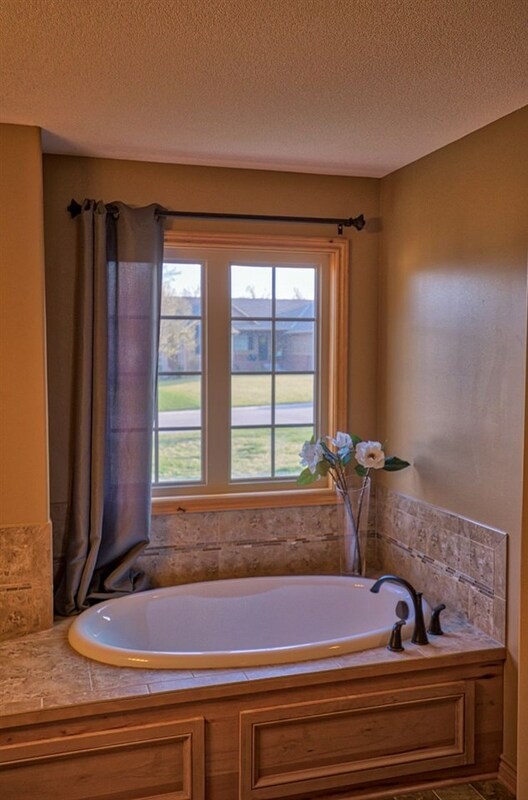 Hall bath with vanity, tub/shower with window above and vinyl floor! 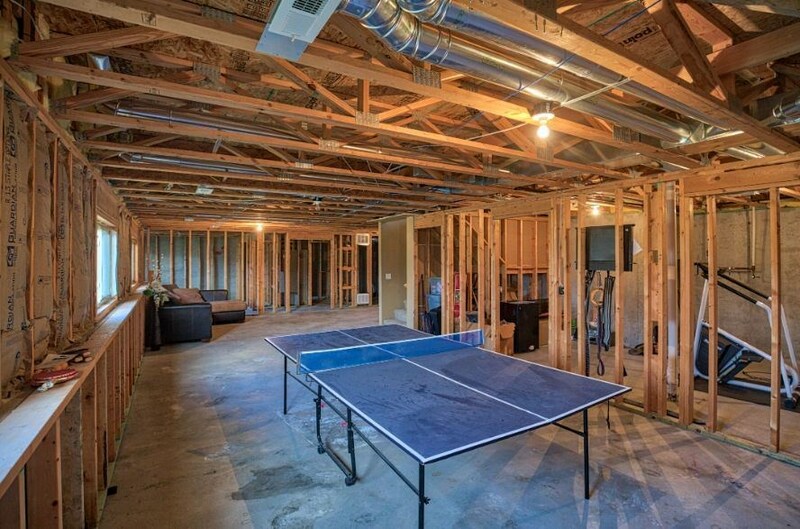 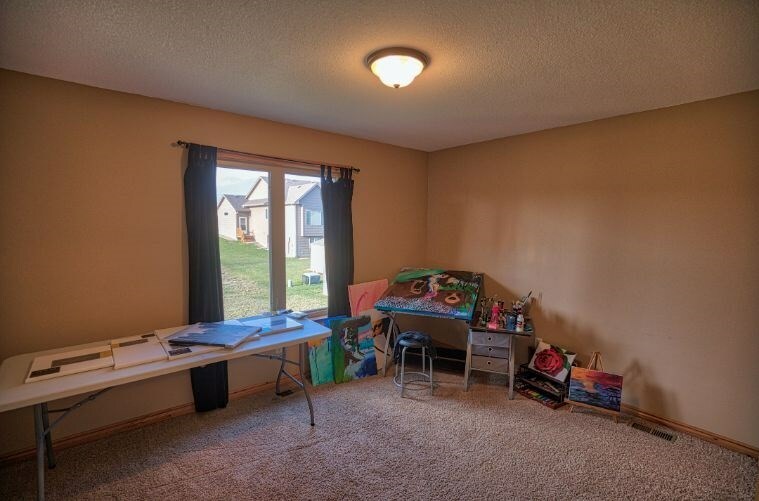 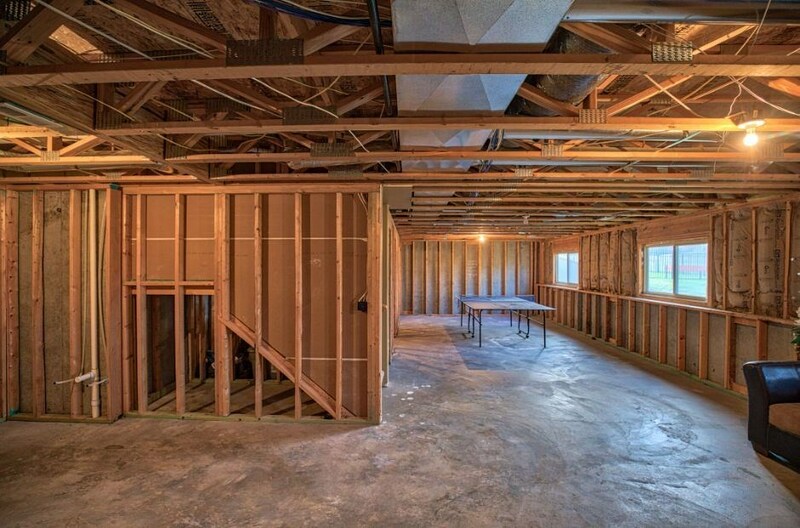 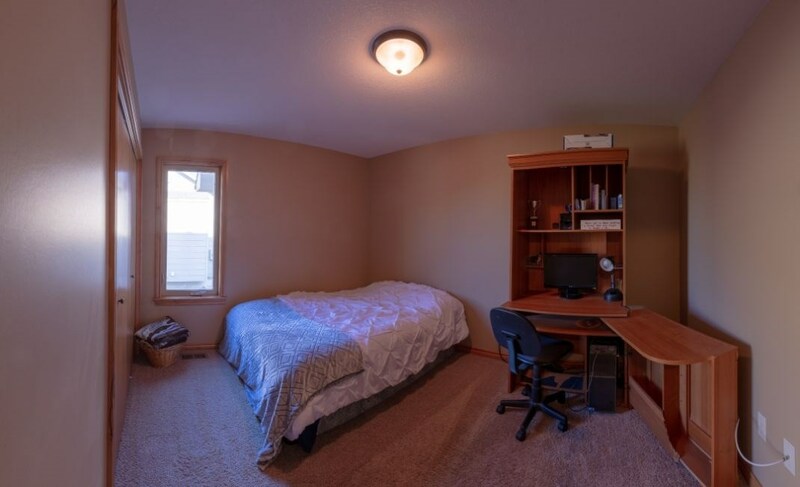 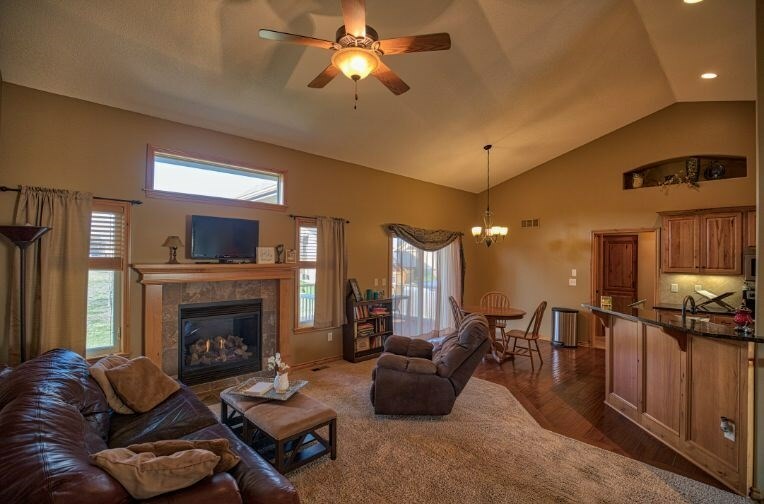 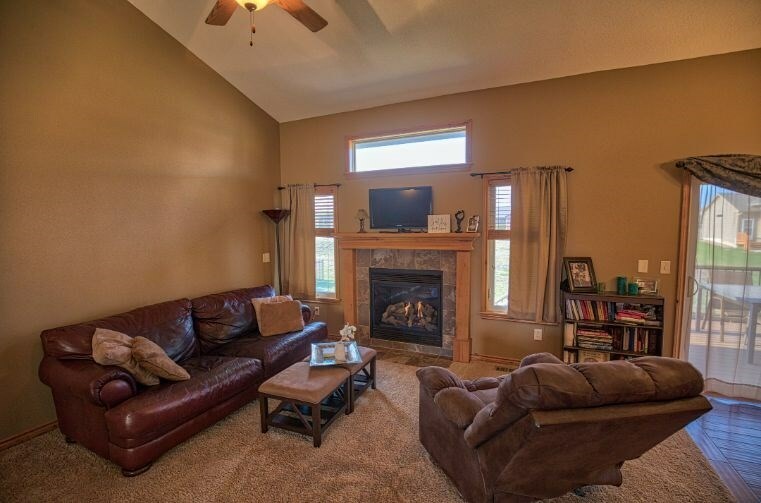 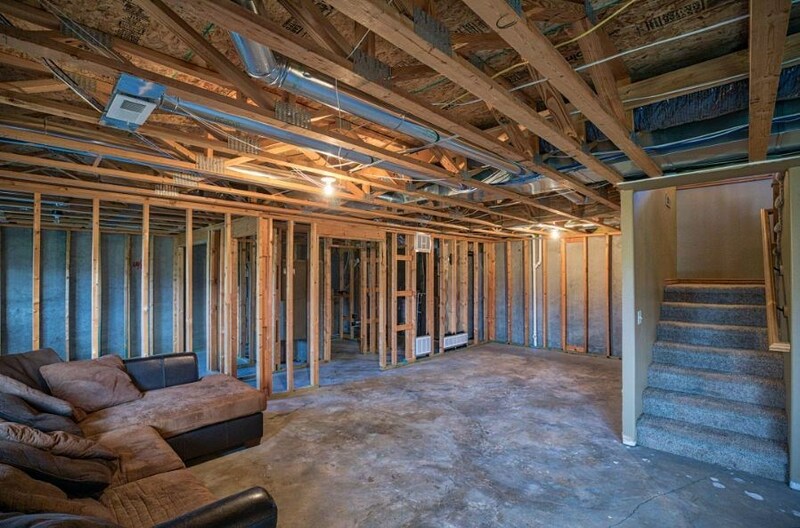 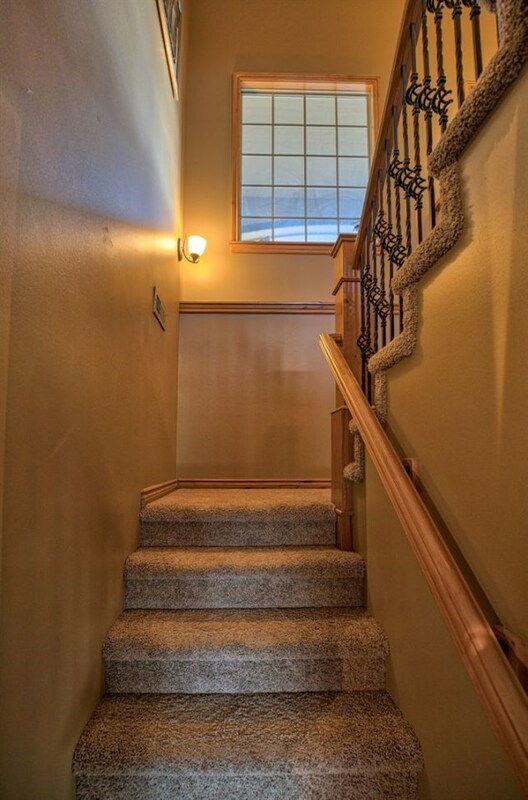 Great opportunity to add equity by finishing the basement that is totally framed! 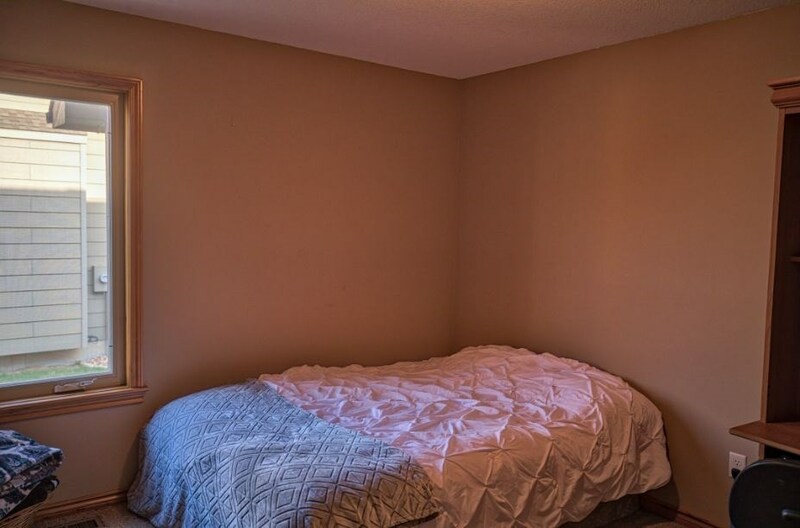 Finish would include a large family room with three viewout windows and plumbed wet bar area, bedroom with viewout window, bath with 5ft shower already installed plus the basement is set up with heating piping in slab for radiant heated floor! 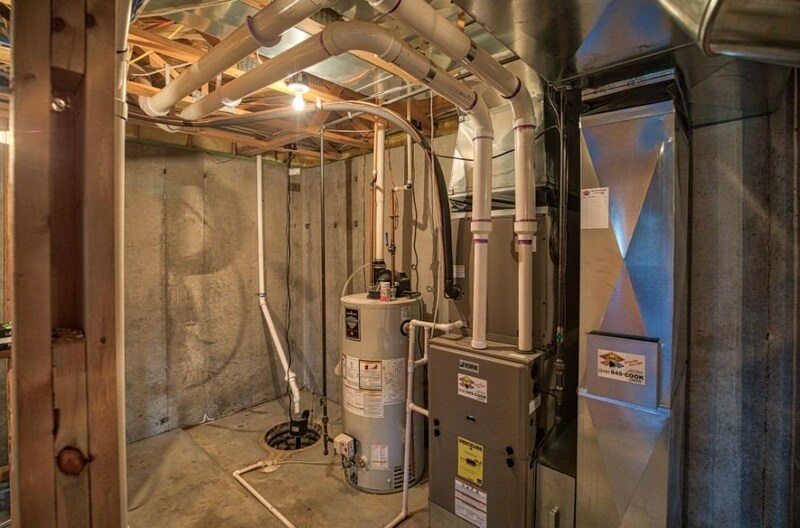 High efficiency furnace and high efficiency water heater! 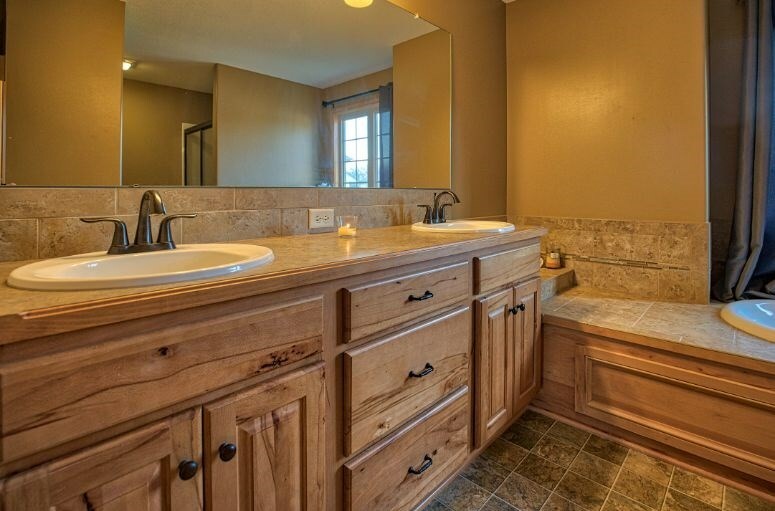 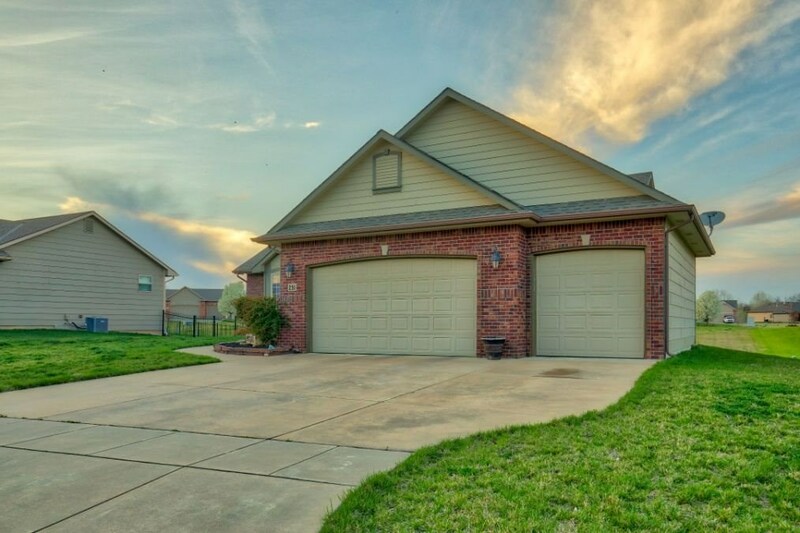 Large 23×31 three car garage with utility sink! 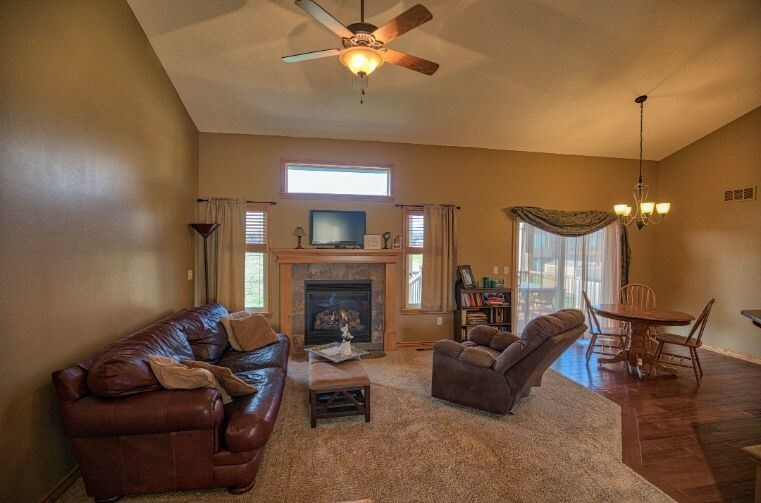 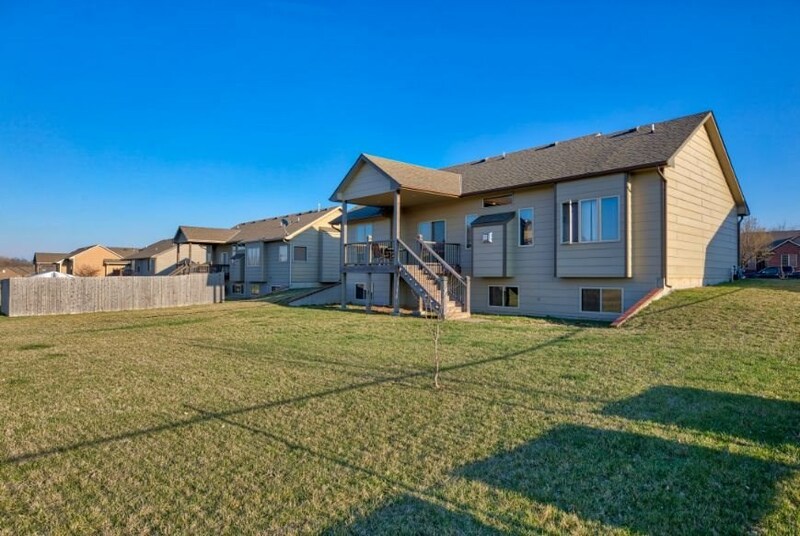 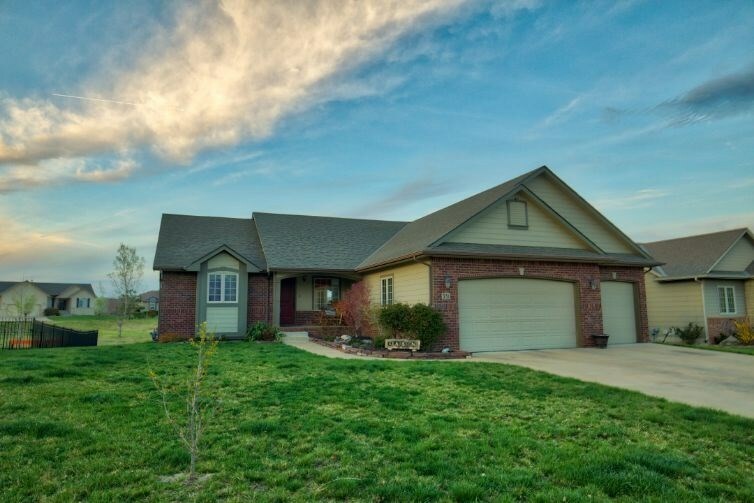 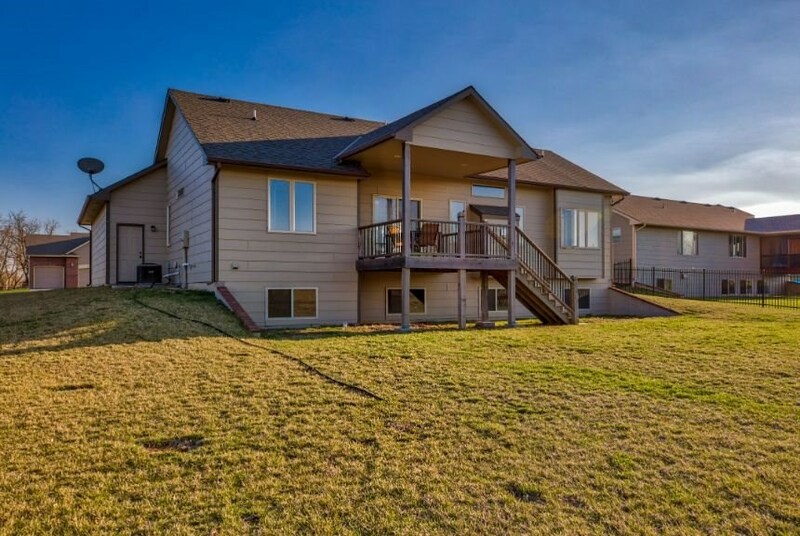 Great covered deck overlooking backyard and HOA common areas behind home!